I remember hearing a story last year of a woman who flew to Australia with an orange and it turned into a major drama when she got there. They’re serious over there about contamination and bio-transfers. 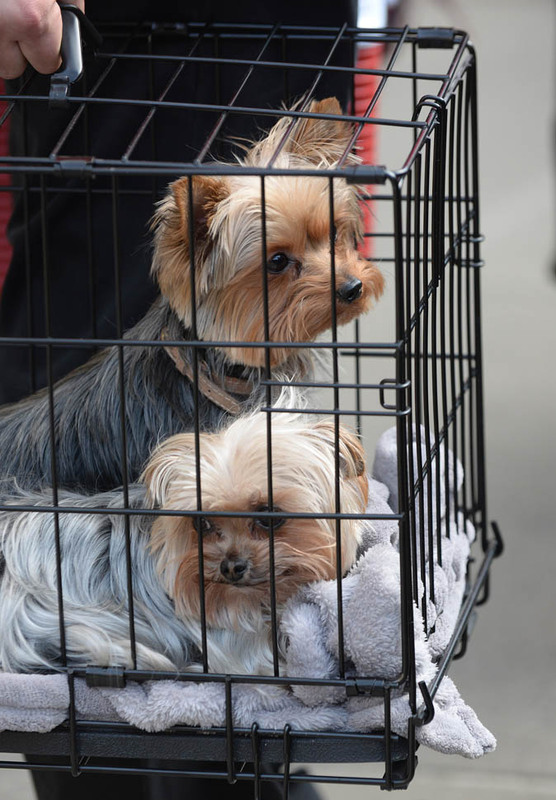 So if you have pets, and you’re travelling there with them, they have to go into quarantine. Apparently at least 10 days. Which doesn’t sound like a lot to me because back in the day, didn’t it used to be, like, 6 months? Or am I making that up? Harsh. But hey, rules are rules. I get it. And this might be the first time in many, many, many years that Johnny Depp has been denied anything. He fronts like he’s so real, you know? Like his heart is with the people. Meanwhile he’s muling his pets in on luxury aircrafts and defying government regulations – and expecting to be excused. That said, maybe the situation will end up working in his favour. Those two dogs will get put on another private jet to be taken back to Los Angeles. Which, hilariously, might be Amber’s exit card too. Convenient way to get away from him. And for him to get away from her.